We’re happy to give you PR & marketing advice, get people talk about you, or get your brand amplified! Please give us a call, email us (on the right of the page) or use the contact form below to reach us right now. Visiting our office? 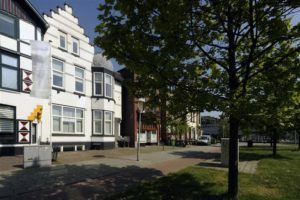 We’re only a 2-minute-walk away from Arnhem Central station! Want to come by car? Please set “Cronjéstraat 1 Arnhem” in your Sat Nav, which is just around the corner. See you soon: the coffee is ready!